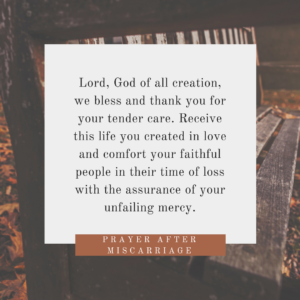 If you have had a miscarriage, whether it is a chemical pregnancy, an early loss, a blighted ovum, ectopic, missed miscarriage, or a late miscarriage, I am so, so, so sorry. 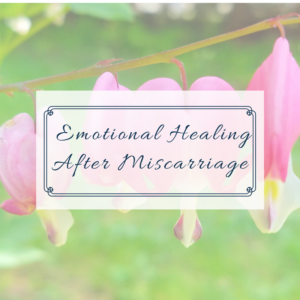 A miscarriage can be heart-breaking, even if you weren’t trying to get pregnant. 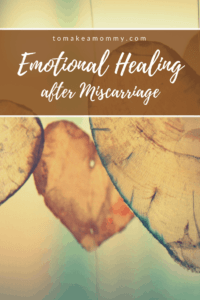 For those of you who have been trying to get pregnant, perhaps for years, having a miscarriage can bring up both feelings of loss and of personal brokenness. No matter when you lose a pregnancy, having a miscarriage is emotionally and physically exhausting. Your body feels depleted, and you need to let it rest and nourish it back to full strength. Your changing hormone levels can exacerbate the grief, frustration, and sadness you are feeling at the loss of the pregnancy. 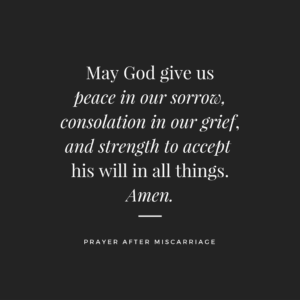 On top of all this, it is hard for many women to talk about having a miscarriage, so you may feel very alone (even though you aren’t- at least 1 in 4 women has a miscarriage in their lifetime). 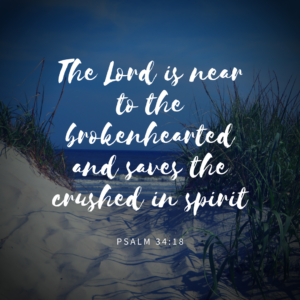 Take the time to grieve. Cry. Collapse into your partner’s arms and sob. Talk with your husband or partner, and know you may grieve in different ways and at different times. Be there for each other, and share your feelings. Write down your feelings in a journal. Take some time of off work to let yourself feel all your feelings.The worst thing you can do at the beginning is squash down your feelings, or ignore them. Believe me, they will come back up again! Know that you never have to “get over” the miscarriage. All you have to do is take some time, care for yourself, and keep moving forward. It will eventually get easier, but there may be a feeling of loss that comes back throughout your life. That is totally okay. It is also totally okay to “get over” it and put it behind you. You don’t have to remember it for the rest of your life if you are able to move past it. Consider using the Star of Bethlehem flower essence, which is known to ease loss and heartbreak. Spoil yourself. Treat yourself as well as you can afford. 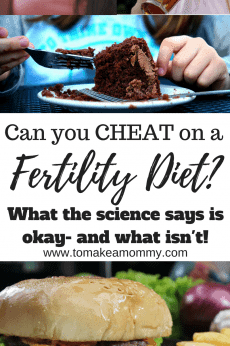 Make a nice organic steak for dinner (fertility friendly and the iron is good for nourishing blood), and have some yummy dark chocolate for dessert. 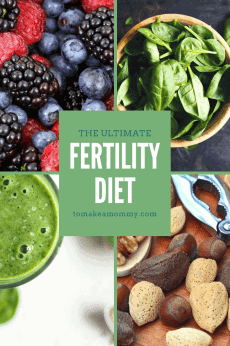 If you have been keeping a strict fertility diet, consider allowing yourself a break and having a glass of wine. Or, go out to dinner. Go to the movies. Go to the beach. Go on a mini-vacation to the mountains. If you are short on money, spend some time in nature. Go to a beautiful garden, park, or lake, or watch some animals. Sit down and work on your meditation coloring book, something like this one or this one which is my personal favorite. Find your faith. Pray. Talk to your God, in whichever incarnation he or she takes. Ask why, ask for healing from the hurt, ask for a healthy pregnancy in the future. I would often pray to St. Gerard, the patron saint of Motherhood, and St. Anne, the patron saint of Grandmothers (Mary’s mother). St. Catherine of Sweden, however, is the patron saint of miscarriages. Go to your pastor, priest, or spiritual leader and ask for consolation and guidance. Some churches, such as the Catholic church, will even hold a special funeral mass for a couple who have had a miscarriage. If that seems like to much, you might just as the priest to bless you with the “Blessing of the Parents After a Miscarriage or Stillbirth.” If you aren’t Catholic, I’m sure your spiritual leader will be able to offer you a blessing in some way. If you don’t belong to a spiritual practice, then look to the universe, your higher self, or nature for additional healing. Find someone to talk to. I was hospitalized during my first miscarriage for a suspected ectopic, which led me to talk to a number of people, including my boss and a couple colleagues about our struggles trying to conceive. I really opened up for the first time, and the outpouring of support was real. 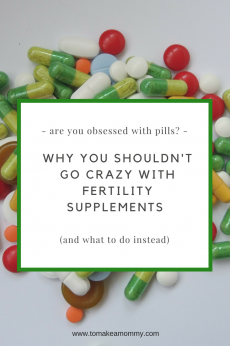 From then on I was more likely to talk about our struggles with fertility. Of course I talked at length with my mother, and I was blessed with a number of family members who reached out to me with their stories of miscarriage. This was the beginning of our “prayer army.” By the time we conceived our miracle baby we had dozens and dozens of people across the country praying for us to have a healthy pregnancy. Do know that the more you talk to people, the more you risk hearing unhelpful things. Know that people mean well, and know that everyone is trying their best to love on you. Let their words wash over you as love, and then forget the words but remember the intention. Of course, if you need to, find a therapist or a counselor. I think we would all do better with weekly therapy sessions! Use guided meditation. I love Circle and Bloom! I have used 5 of their programs, and I have loved each and every one. 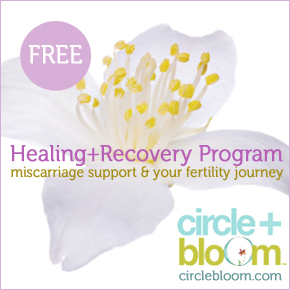 They have a lovely, and completely free, Healing & Recovery Program for miscarriage support. 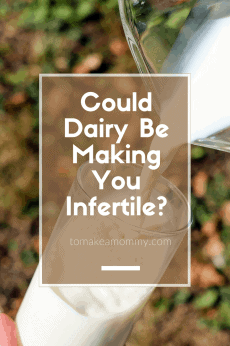 I have reused it many times, whenever I have had a chemical pregnancy or miscarriage. It is a simple, 30 minute program, that includes deep physical relaxation, and then a gentle visualization. I almost always fall asleep to their programs, but that is okay- it is still working! Consider either listening to this just before bed, or lying down sometime during the day to listen to it. You’ll be glad you did. Consider a mind-body program like Fertile Heart. I still had unprocessed grief and fear a year after my first miscarriage. It was the first time I had been pregnant and I wound up having emergency surgery in the hospital! So to me, my only experience of pregnancy was deeply linked to fear for my own life. 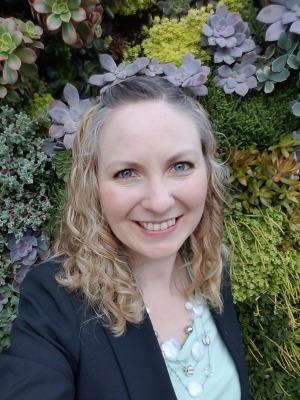 When I started the Fertile Heart program, through an introductory 3-series teleconference, Julia helped me realize that I had this negative fear-based view of pregnancy that could be holding me back. I used all of the tools of the program: dream journaling, body work, special fertility visualizations, and the group support, to help process the fear and the grief. Specifically, on her CDs, there were certain tracks I used to help process my fear and grief. On the Body Truth Double Audio CD, I listened to track 3 “defend, receive,”and track 8, “rock the baby.” On her Fertile Heart Imagery 2 Program, on the second cd I listened to track 14, “healing the heart,” and track 15, “nine hearts.” The best part is, if you start the Fertile Heart program, not only will it help you heal now, but it will help you be more happy, positive, and in control of your baby journey as you continue your path towards parenthood. I truly believe this program is one of the main ways I was finally able to have a successful pregnancy. See an acupuncturist, or other healer. If you aren’t already seeing an acupuncturist, now may be the time to start. They can help you heal physically from the miscarriage while providing gentle emotional support. AND they can help you in your continued journey to baby. 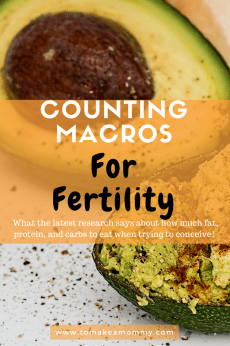 Read my whole post here on how to find a great acupuncturist for fertility! Other healers you might consider seeing could be a hypnotherapist (what I saw), a reiki healer, or a Mayan Abdominal massage artist. If you need to memorialize the event, do. For some, these healing tools may not be enough. You will know if you aren’t ready to move forward with healing, and need to do more deep grieving and processing. I never did any of these, as personally, I couldn’t take the regular reminder of the event. However, this helps many women process the event, embrace the grief, and move forward on their fertility journey. Give the baby a name, if you haven’t already. Think of this baby as part of your family who is now in heaven. Plan a tree or other plant in honor of your little one. Or make a special area of your garden for the memory of your baby. I have actually done this, I have a little stone bench and a Celtic cross in my perennial herb garden in honor of all my angel babies. Make or purchase miscarriage memorial jewelry. Consider an angel, footprint, or birthstone. Here are some nice options on Amazon: bracelet, this necklace, or this one. Buy a little angel or other item to display in your house or garden. Consider this little one, or something more specific like this or this. I also like the Willow Tree statues that have angels holding babies like this one. Donate to a charitable organization that supports miscarriage support such as Share. Create a memorial altar or a piece of artwork. The simple act of pulling together stones or candles, or of painting or sculpting is healing. Of course, you could also commission a piece of artwork if you aren’t the crafty type. I hope this post gives you some ideas on how to heal. I am sending you all love and warmth. If you’ve found this post and aren’t familiar with my website, after you take the time to heal, I hope you visit again. 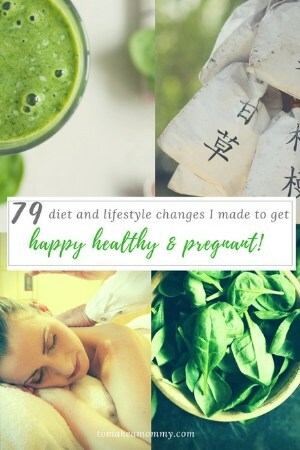 You might start with my first or second pregnancy miracle story for inspiration, or with my top ten recommended life changes for fertility!